Kevin F. Postol DDS is pleased to unveil the new design for our website. We welcome you and hope you will find it useful and informative. We are confident you will enjoy the new look. The layout is fresh and clean, much like our patients’ teeth! Navigation is easy and you can find what you need at the simple click of a button. Request an appointment, find out more about our services, and contact us more easily with our new design. Our patients near Ballwin and throughout the area have been showing off their healthy and beautiful smiles for years, and we will continue to provide our excellent services for many years to come. Refer a friend to our office, and point them to the great new design for our website. They will be able to learn more about our wonderful staff, read reviews straight from our patients, and peruse our various blog posts. You can even take a tour of our office from the comfort of your own home, or on the go on your device. 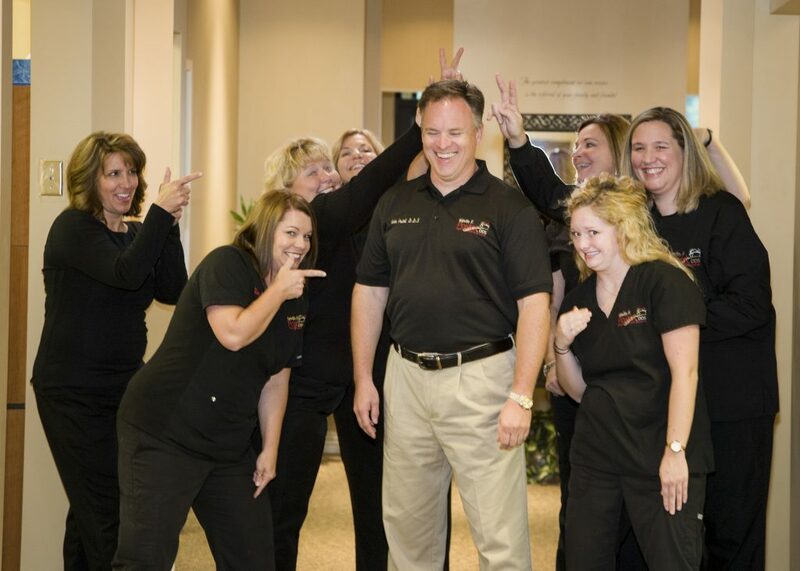 At Kevin F. Postol DDS we are passionate about smiles and dental health. We continue to add more information, services and blog posts to our growing repository, all for our patients’ benefit. We are very excited for a future in building a relationship with you, your family, and your smiles. We provide many services and try to be a one-stop shop for our patients. We have a focus on preventive dentistry: avoiding problems and costs before they even happen. We are family friendly and enjoy the family dynamic from young to old. We have plans for general dentistry for the regular maintenance needed to keep your smiles bright and healthy. We also have cosmetic dentistry services to beautify and enhance your smile. We know that going to the dentist can be scary and daunting to some patients. We offer techniques in relaxation dentistry service that will help you feel at ease. Our dental implant services will help fill gaps when needed. Our gum treatment services can help prevent the leading cause of tooth loss. We also have TMJ and migraine treatments that can relieve chronic pain that many struggle with. Additionally, we offer services regarding sleep apnea and snoring to help you and those around you get a better night’s rest. Contact our office today to schedule a consultation or appointment!